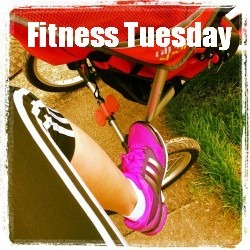 I weigh every Tuesday evening and am recorded each weigh in before my 30th birthday at the end of June (eek!!) I missed the last weigh in but am here now and raring to go! So the last few weeks have been a bit topsy turvey. My health has been pretty poor and I have practically lived on lozengers and honey and lemon to encourage my voice to return. As much as I have tried to implement damage limitation and have eaten well, there’s only so much you can get away with before you gain as lozengers are full of sugar and large quanitites of honey is not great for weight loss! Here’s to another week and another loss ahead, I’m determined to hit double figures so that’s a loss of 1.5lbs or more… definitely achievable ! Cheesy risotto, I always think risotto doesn’t photograph well and looks weird, but it was very nice!